Most loans require monthly payments, but did you know that you could be making payments on a biweekly basis? By doing so, you could stand to save a good deal of money on interest charges. 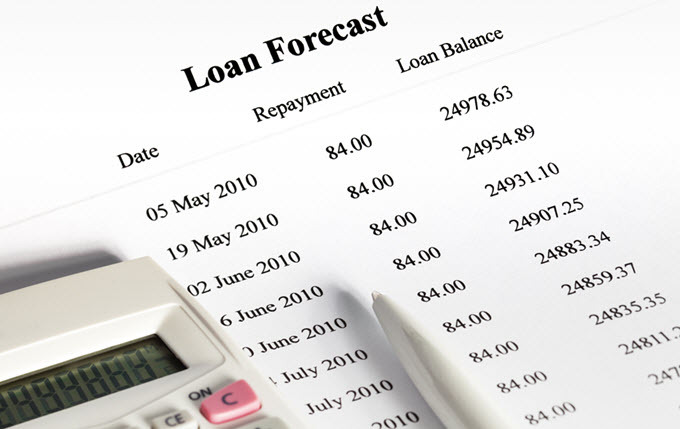 This calculator will help you compare the costs of a loan with a biweekly payment schedule and a loan with a monthly payment schedule. First enter the principal balance owed, as well as an annual interest rate and the loan term in months. Click on CALCULATE and you’ll get a payment amount for both monthly and biweekly schedules. You’ll also see total interest charges for both plans. And finally, you’ll get a dollar amount for total interest savings under a biweekly payment plan. This calculator sets the bi-weekly payments to half of the monthly payment, which creates the equivalent of a 13th monthly payment each year, which quickly reduces the loan balance. If you've recently taken out a loan or started using a credit card, chances are you've received some kind of offer from your lender to enroll in a biweekly payment program. Instead of sending in one payment each month, you send in half of your monthly payment every two weeks, effectively shaving off years from your loan. It sounds too good to be true, and it almost is. Before you take your lender up on the offer to start making biweekly payments, it's important to understand how this program works and if it's right for you. First, let's take a look at how biweekly payments work. Because there are 52 weeks in a year, sending in a payment every two weeks equals out to 26 half-payments each year, or 13 full ones. Instead of going towards interest, that "extra" payment gets applied to your loan's principal amount, meaning you'll end up reaching your loan's payoff date sooner. In today's economy, you could expect to finish paying off your loan four years sooner by making biweekly payments. As a result, you'll save money on interest. While the end result of using this payment method is certainly attractive, it's not without its risks. Should you decide to enroll in a biweekly payment program with your lender, you'll more than likely be entering into a contract that forces you to adhere to making twice-monthly payments no matter what. For some, this lack of flexibility isn't ideal. If you only receive a paycheck once a month or if you're self-employed and can't rely on a set income, you may find that having a payment automatically deducted from your account every two weeks without the option to put it off until the end of the month beneficial. Thus, the biweekly payment plan is typically more suited to those who get a paid twice monthly. Also, this is a long-term plan for those who intend to stay put for at least 10 years. The positive effects of a biweekly payment schedule won't be evident for some time, so you would be paying extra money every year for no reason if you decided to move. If biweekly payments aren't ideal for you, there is another way to save money. You can continue to make one monthly payment with a portion of that "extra" thirteenth payment included in each installment. To do this, simply divide your monthly payment by 12 and add that amount to your payment. By the end of the year, you'll have a full extra payment to go towards your principal, thus shortening you loan's life and lowering interest. While biweekly payments aren't the best option for everyone, they can certainly benefit those with a steady income and who plan to stay in their homes for a while. Even if you can't comfortably manage biweekly payments, there are still ways you can reduce the life of your loan and lower the amount of interest you owe.